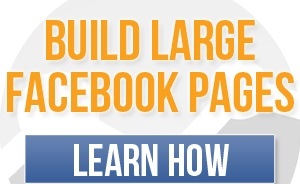 This is a wide area to cover in our series on how to build an Income generating blog from scratch. If this is your first time here or you have forgotten about the previous series, it will do you well to take time out to read the previous series to help you have a good foundation. This is one of the most important part of the series. Make Money Online Nigeria is dedicated to teach you how to make real money online legitimately. 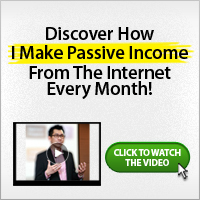 In this post, I will help you discover how you can start making money online with your blog. Whether you make any money or not via your blog depends upon many things. However there are a few things I would show you now. Please note, this post contains over 1,200 words. It is packed with great information you should not miss. Take time out to read it thoroughly if you truly want to make money online from your well structured blog. Advertising is the most obvious way of making money on your blog. Strategically placing banner ads of different sizes on your site can help start you on the road to earning an income from blogging. Most adverts require you to place code that is provided on to your site. This can be done by editing the theme template, using a sidebar text widget or a plugin. Some plugin or scripts not only helps you insert adverts, but also rotates adverts in the same position and it can track impressions and clicks on some types of adverts. With this, you can successfully advertise your products, services and anything you have for sale personally. I make lots of money advertising my own things. 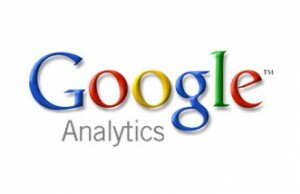 Google Adsense is the most famous example of Pay-Per-Click (PPC) advertising that you can have on your site. Your blog/website should be around for like 6 weeks and have a reasonable amount of content on it before applying. This will help your application to be successful. While some people make a lot of money with Adsense it can be difficult to get tech-savvy users to click on ads, and also the quality of the ads depends a lot on what niche you’re targeting. Unless you get thousands of visitors every day, it is often difficult to make a lot of money solely with Adsense and the space it takes up on your blog can sometimes be better utilized with other banner adverts. You have to experiment on where you add the Adsense adverts. The best position is normally right below the title of the blog post and before the blog post starts. You could also try just below the blog post and before the comments section. You must have been approved before you do this. If you have been approved, you need to log in to your Adsense account and click on ‘Get Ads’. After that, choose ‘Adsense for Content’ in order to place the codes on your blog. After choosing ‘AdSense for Content’, you then choose what type of Adsense you want to add to your blog – “Text Ads”, “Image Ads” or “Link’s”. It’s your choice. For example, if you choose “Ad’s”, you should then choose your format – i.e. size of adverts. 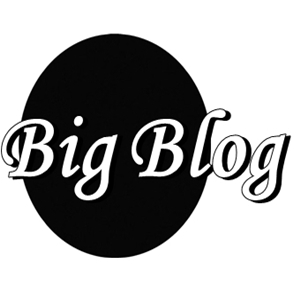 You should also change the colours of the text and boxes to blend in with your blog. After a few more pages of set-up, AdSense creates the code to be added to your blog. Copy the code. To add the Adsense code to your blog. If you use WordPress, I recommend you add the WordPress plugin called “Quick Adsense” or “New Adman”. After installing and activating the plugin, go to the plugin settings page and choose where you would like your Adsense to be displayed on your blog. The maximum number of Ads Google allows you to display on a page is 3 text or image unit and 2 link unit to be displayed. One ad should be displayed at the beginning of the blog post and one to be displayed at the end of the blog post. You then need to add the code from your Google Adsense account and paste the code into the text boxes on the plugin settings page. Scroll down to the bottom and click “Save”. 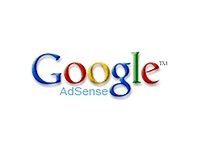 Now Adsense will be displayed as per the Adsense setup before and after each blog post. Selling banners directly to advertisers is often a good way of getting a consistent level of income. Gather potential advertisers by looking at what adverts your competitors have on their sites, and what companies Google Adsense are advertising in your niche (do not click on your own adverts as this could cause you to be banned for “click fraud”). Then you can approach these advertisers via email with an offer to advertise directly with you. You can also advertise your products and services for a cheap fee. Check Make Money Online Nigeria’s “Advertise With Us” page to get inspiration. You can also place your adverts here. This can be time consuming, but in the meantime you can run other banners. If an advertiser agrees, it is often good to offer a monthly subscription, which can easily be setup on BuySellAds.com to automatically charge them until they cancel and then you remove their ad. Affiliate marketing is basically, where you introduce the buyer to someone else’s service or product, and for the introduction and ultimate sale you receive a commission percentage. Amazon Associates banners are a type of affiliate marketing, and many companies offer their own affiliate systems for you to join and promote their product. Here you usually get paid on a Per Action basis – the number of clicks you send them doesn’t matter, it’s only when someone buys something that you get paid. There are some affiliate networks like Commission Junction, ClickBank, Pay Dot Com etc where you can get products to market. The best way to make money from affiliate marketing is to write reviews about the products on your blog. You will get a lot of sales for the ones you have personally tried or used yourself. Search engines like product reviews, as people who are searching for a product are often very likely to want to read a review of that product. Blogs also have an advantage here as they are seen as independent and an honest opinion of what the product is like (and they should be!). I make money from affiliate marketing but not up to the amount I can boost of. I am working on this greatly and it will soon skyrocket. I promote Nigerian products and products from people outside Nigeria. In my future posts, I would be revealing more to you my earnings. As at now, I have written some posts on how I made money from some affiliate programs, you can search and read them. In conclusion, go ahead and make things work because without that, nothing works. If you have further explanation or questions to ask, make use of the comment box provided further below to ask them. I will surely reply your questions and considerations. To get more updates about how to build an income generating blog, you should subscribe with your Email address or though RSS or follow me on Twitter or become my friend on Facebook.